Meet Charles Forman. The date is 21 March 2012 and our prodigy is raising a toast to an unprecedented success. The events in this story are not unprecedented but so close a fairy tale that I am going to set this story in a not so imaginary land call appland. He had just taken up an offer for $118 million. Not too far back into the past… The date was February 6th. His team was sitting and anxiously watching a counter tick. The last round of funding from the VCs was going to dry up in just over 3 months. This was a big day. They were launching an app call 'Draw Something". Slowly the download ticker inched up to 30,000 on the Appstore. But what happened next made the world sit up and watch. In over 85 countries it had become the top app in App Store. It reached a height of 24mn daily active users over the next few months. But that was not always the case. How did this happen. 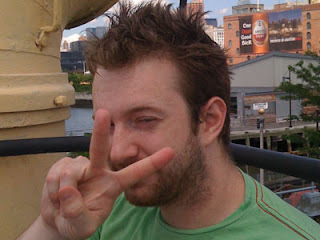 Charles the founder of Omgpop started about 6 years ago with a not so imaginatively named site called iaminlikewithyou. From what was almost a dating site it slowly moved towards becoming a casual gaming site. It was only in 2008 that he managed to get a funding of $1.5mn. They had come out with 34 games before Draw Something (not surprising, Rovio actually had 51 game titles to itself before Angry birds became a rage). Draw Something had its roots in a real time drawing game called "Draw my thing" on iminlikewithyou.com (note omgpop.com). It was one of the more successful games and had a decent following. It graduated into a Facebook app and gathered a sizeable fan base. So when the time came to bet big, OMGPOP decided to put its force behind it. From the web to Facebook land the journey had been promising but the actual treasure was in Appland. After having taken the Apple App Store by storm an Android version for the Google Play Store soon followed. In the first 50 days it was Downloaded more than 50 million times over iOS and Android. What made it such a great success? The simplicity of game play is a great factor for sure. But according to me the fact that you get credit only if the opponent guesses it correct made it truly collaborative. The app seemed to have gone viral by leveraging existing network on Facebook. Ability to spread via contacts: call for players over Facebook, twitter or email helped it go viral. Free version with ads in addition to a paid version. Both having options to buy extra features. This ensured it lured enough people into the game before hooking them onto it. And as they say, nothing succeeds like success. As it rose up to the top 10 chart on App Store, it gathered more attention. Soon people (including celebrities) were tweeting their drawings and more people were taking note of it. Not surprising that Zynga started taking note of it and a deal was done soon enough.